A ghost town is the home of the stories of its past residents. There is something bittersweet about a collection of abandoned homes, businesses, churches and civic buildings, all decaying slowly in a remote location. A visit to such a place always seems to evoke the dashed hopes and bitter disappointments of those who once walked its now-lonely streets, and this is true even if the ghost town is well-maintained and heavily visited, as is Bodie, California, a prosperous gold and silver mining district in the Eastern Sierra that boomed in the 1880s. Of all the stories I’ve read or heard about Bodie, the one that always gets to me is that of Lottie Johl. I find her story so sad and touching that I loosely based a major character in my novel A Fence Around Her on this real-life Bodie resident. Lottie was a sweet, good-natured woman who found herself, through unfortunate life circumstances and limited employment opportunities, working in a house of ill repute in Bodie’s red-light district. There she met a hard-working German immigrant named Eli Johl. Although he was quite successful as a butcher, he was a lonely bachelor, perhaps due to his limited English skills, and he seemed to be searching for someone to share his life. The woman he found was Lottie, and much to the horror of the respectable people of Bodie, he took her as his legal wife. He built her a comfortable house and furnished it in the best style he could afford. Lottie showed an interest in painting, and Eli bought her an easel, a palette, and brushes, and he kept her well-supplied with oil paints and canvases. Isolated in her opulent parlor, Lottie painted fantastical landscapes. Eli had them elaborately framed in red velvet and gilt and displayed them on the parlor walls, although no one came to their house to look at the paintings, because Lottie was still shunned by society. Finally, Eli hatched a plan to almost force Lottie upon Bodie society. A masquerade ball was to be held at the Miners Union Hall, and Eli sent Lottie to the event alone, dressed in a white satin gown covered in fake diamonds and pearls, with a matching crown perched on her blond curls. All the men wanted to dance with the lovely lady in the diamond and pearl-encrusted dress, and all the women envied her. The committee assigned to give out the costume awards decided to give the mysterious lady the first prize. But when midnight struck and everyone took off their masks, poor Lottie was abandoned by her dance partner. A member of the committee discreetly asked her to leave, and she went home in humiliation. Lottie Johl. Photograph used with permission of the Bodie Foundation. And if the events of Lottie Johl’s life weren’t sad enough, her death and burial are truly heartbreaking. Lottie felt sick one day (though probably not sick enough to die), and a doctor wrote a prescription. The druggist filled it, and Lottie took the medicine. She was dead by next morning. Instead of the prescribed medicine, the druggist had given her a deadly dose of a toxic substance. It was probably a mistake, but I have to wonder if the druggist took less care in filling the prescription when he saw that it was for Lottie Johl, someone he considered of little importance. Eli was not allowed to bury his beloved wife inside the fence of the cemetery with the “respectable dead,” so he erected an ornate wrought-iron fence around her grave. He was determined that she would have a much finer fence than the one around the cemetery, so that people would see what a fine woman she was. I think it’s ironic that so many of the people who made Lottie’s life miserable are completely forgotten, while the memory of Lottie Johl lives on. I felt that it was important to honor the real-life inspiration for Lilly Conoboy, the mother of fourteen-year-old Ruthie Conoboy, the protagonist of my novel A Fence Around Her. I want to make it clear that Lilly is not Lottie. While Lottie was an innocent victim, Lilly brings on her own tragedy. While Lottie seems like someone I might seek out as a friend, Lilly is someone I would avoid if I could do so. But that is what we historical fiction writers do. We take history and turn it into fiction, and the two are not the same. I will always feel gratitude to the historical Lottie Johl for being who she was and leaving behind her story. Pamela: You can read an excerpt of A Fence Around Her, Young Adult Historical Fiction published by Clean Reads, and purchase at the links below. Brigid and I would like to hear your comment! 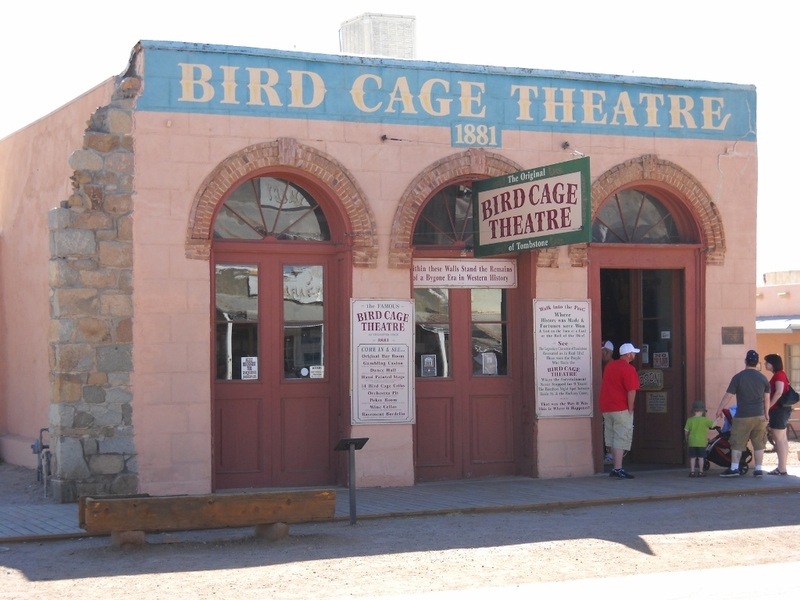 Wild times at the Bird Cage Theater in the silver boomtown of Tombstone, Arizona. Tombstone was the site of the O.K. 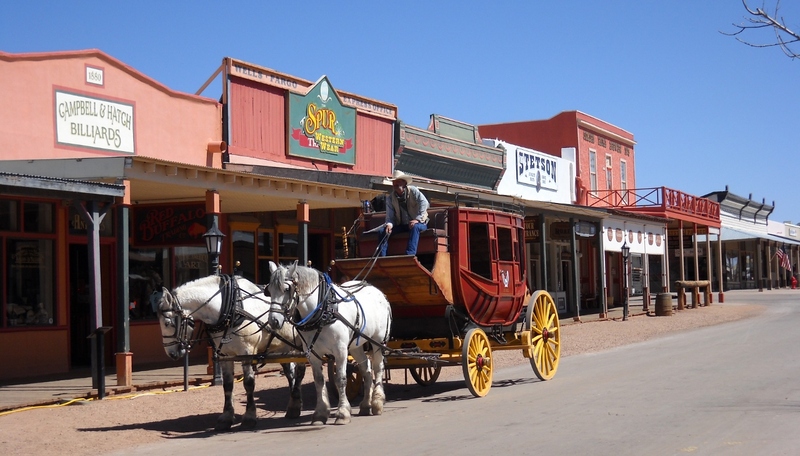 Corral, where Wyatt Earp and his brothers, along with Doc Holliday, had a gunfight with a gang. The Bird Cage Theater website proudly quotes the NY Times from 1882, when the Bird Cage Theater was new: “The wildest, wickedest night spot between Basin Street and the Barbary Coast.” That’s New Orleans to San Francisco, quite a ways. At the Bird Cage Theater, stairs backstage lead down to one of the wicked areas. There are some bedrooms where prostitutes entertained customers, and they are right beside poker tables. The poker players must have heard a lot of embarrassing noises from behind the prostitutes’ doors a couple yards away from their card game. The poker games went round the clock. You’d sign up and have to wait a day or so for your spot to open. Someone would go and find you when it was your turn. This basement is shown in two small photos on the home page, on the right. They are not labelled, but here’s how to find them: where the text reads: “recently, six more rooms …” the photo beside it shows one of the prostitutes’ bedrooms. Below it, you can see a table and chairs where men, and maybe women, played poker. Wild and wicked, indeed.